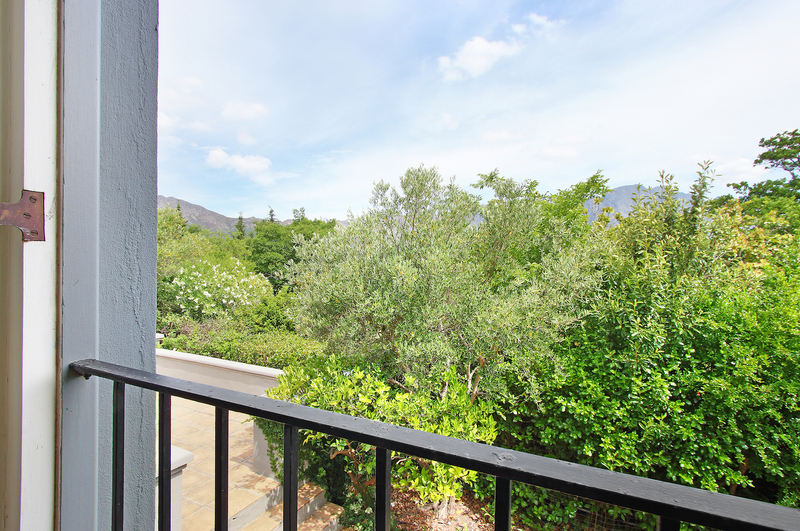 This wonderful property is well located only a few hundred metres from the high street and offers stunning views and a real sense of privacy behind stone walls and a lush garden setting. 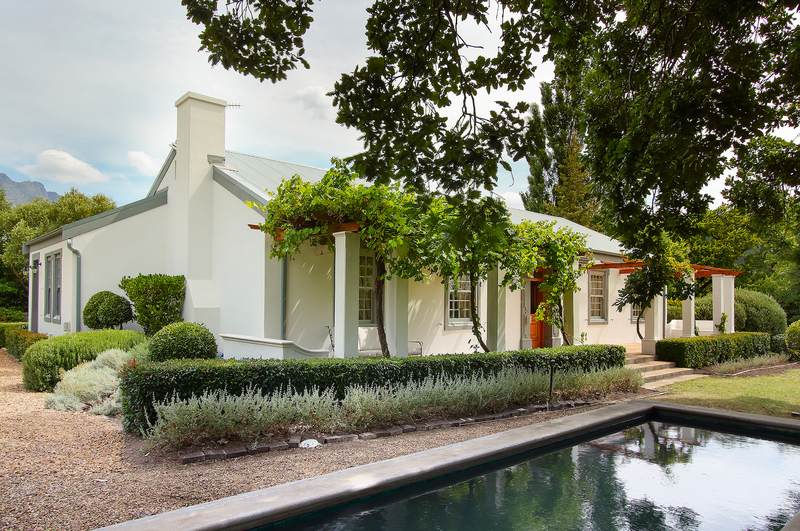 The original 1930's house was sensitively renovated both inside and out to present a charming villa that would sit just as comfortably within a French country village. 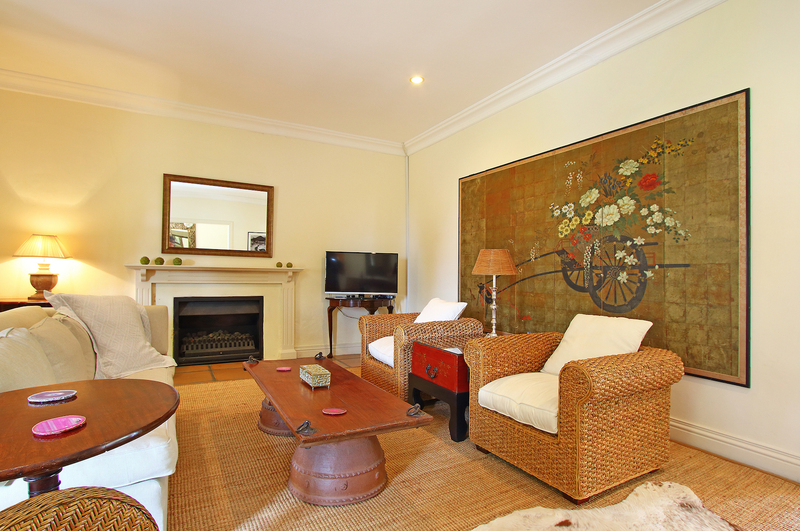 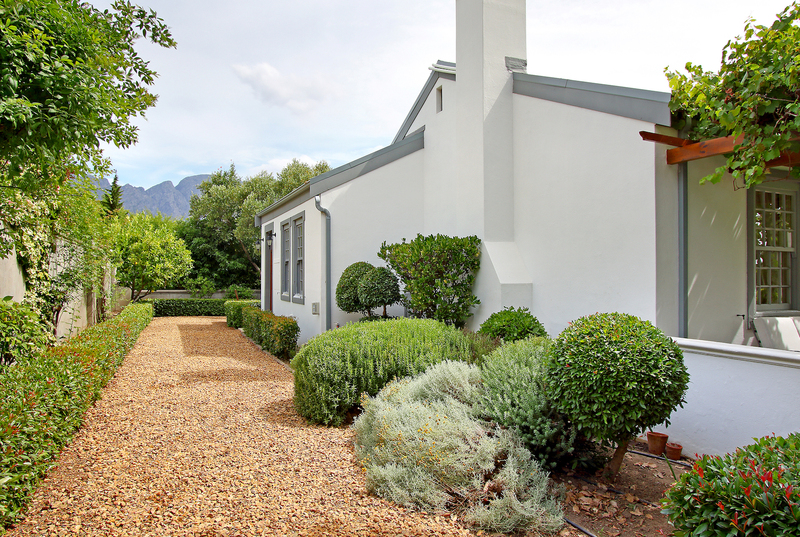 Set within a charming country garden with swimming pool, the home offers an entrance hall, spacious lounge with fireplace and large dining room leading out to a private rear terrace with vineyard and mountain views. 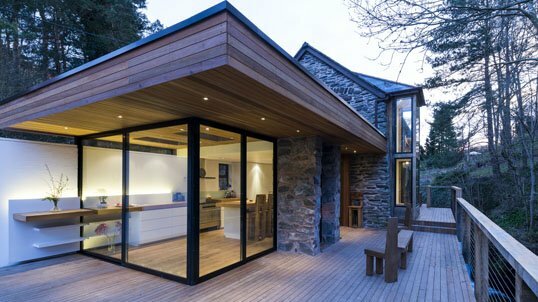 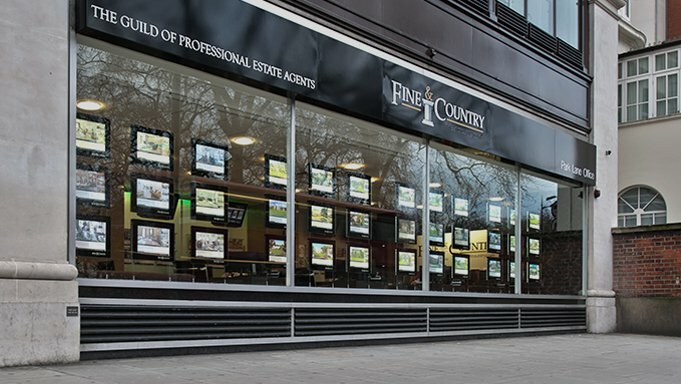 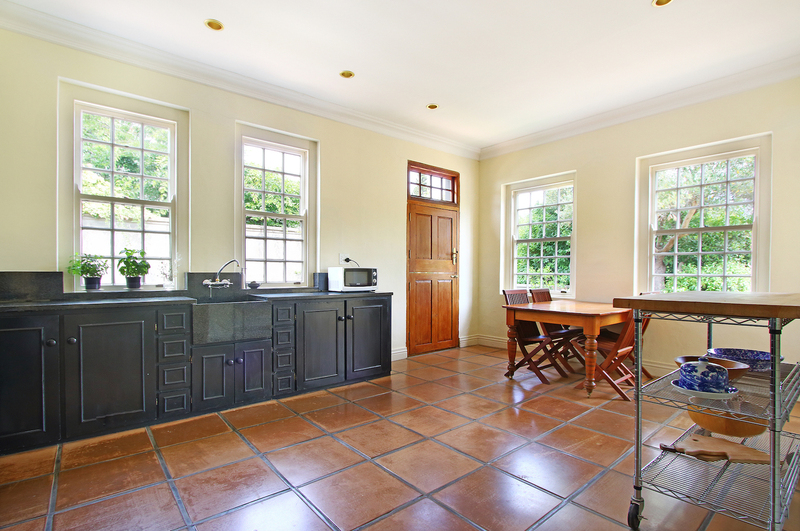 A generous country kitchen is large enough for family dining and offers double ovens for large-scale entertaining. 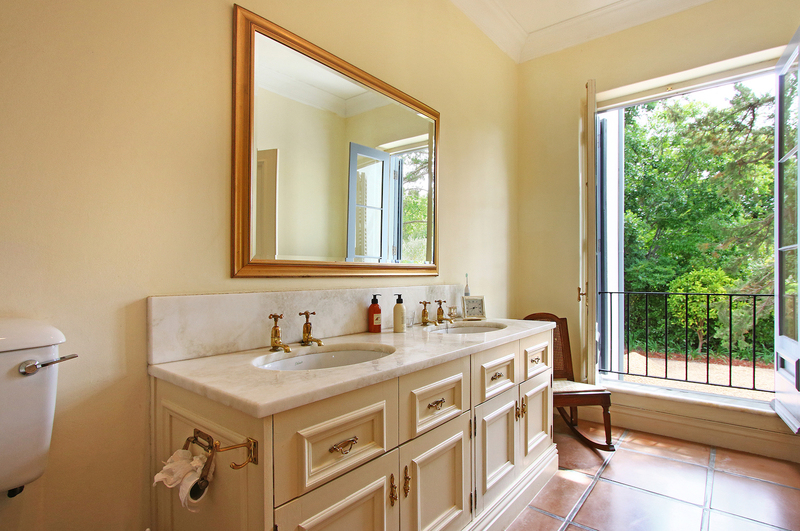 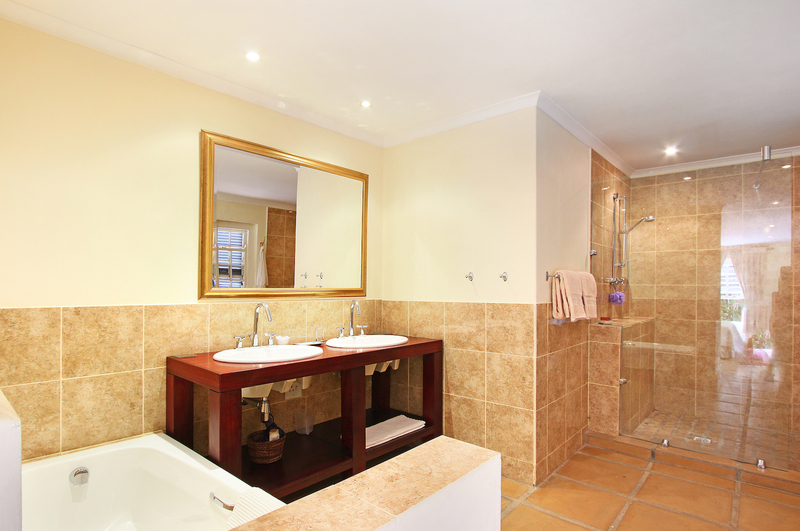 The main bedroom suite on the ground floor has built-in cupboards and a full en-suite bathroom. 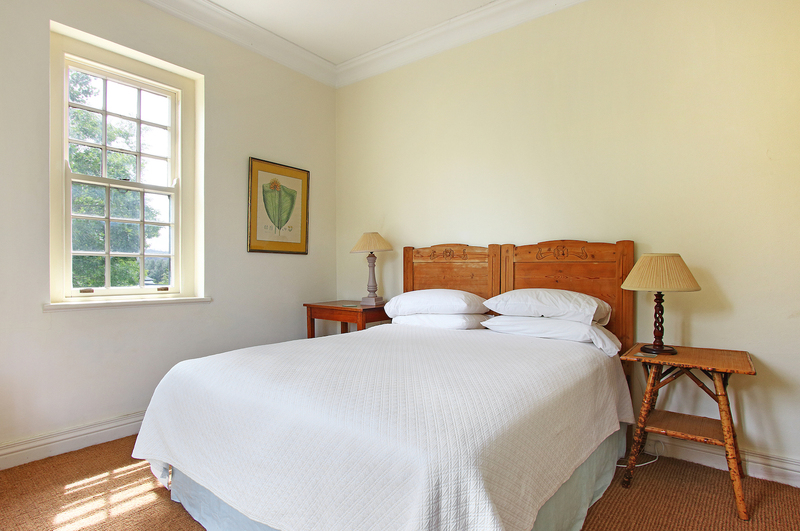 Two further bedrooms are located upstairs with a shared family bathroom and uninterrupted views through charming shuttered sash windows. 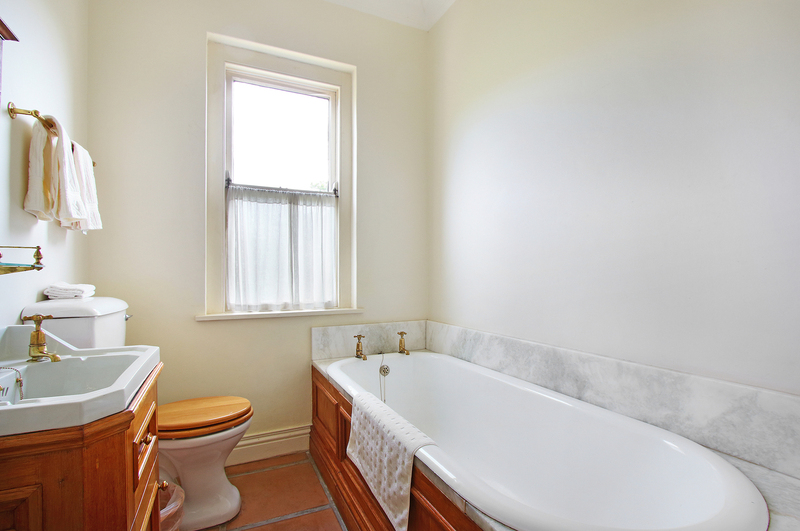 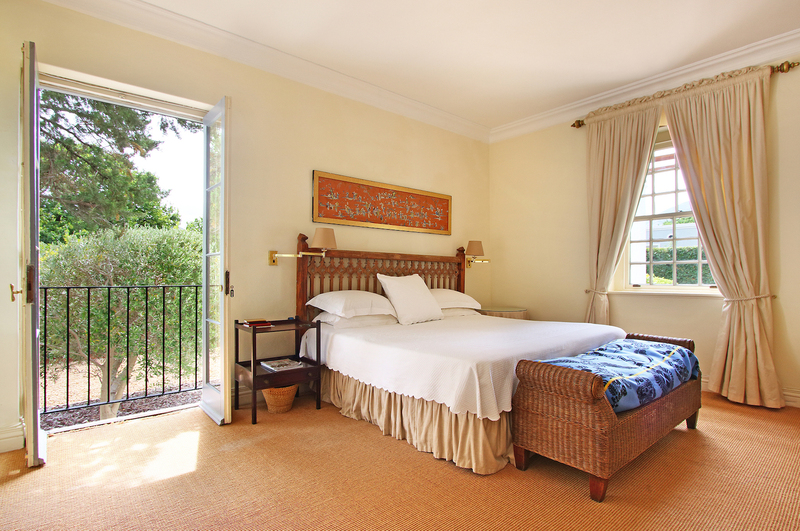 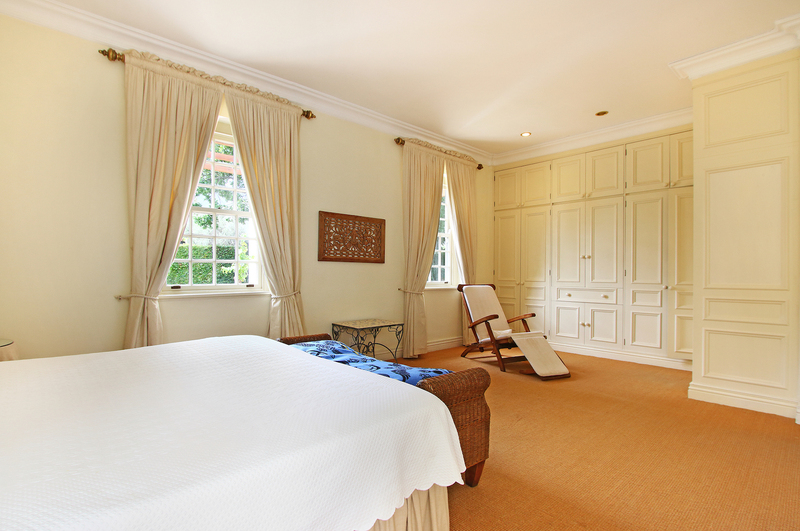 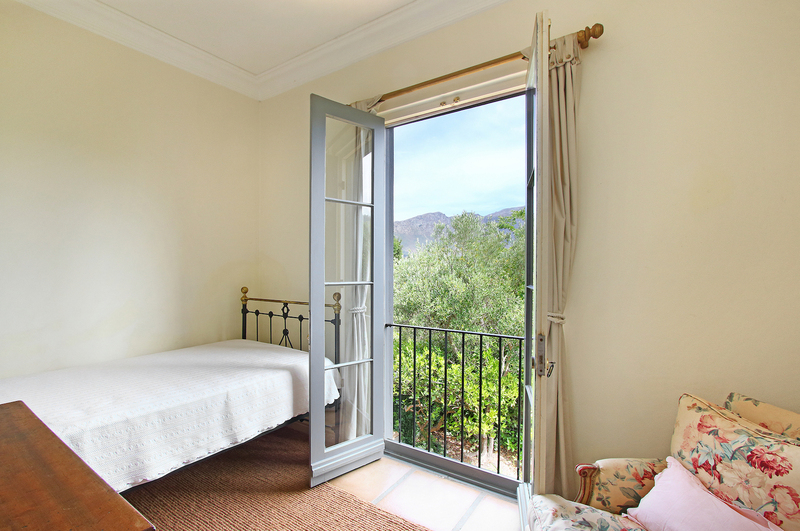 A fourth bedroom with full en-suite bathroom makes an ideal guest suite with separate outside access. 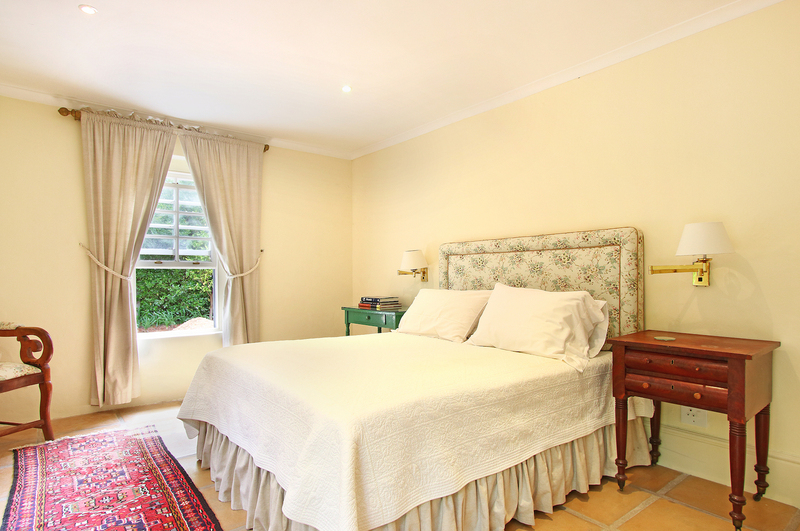 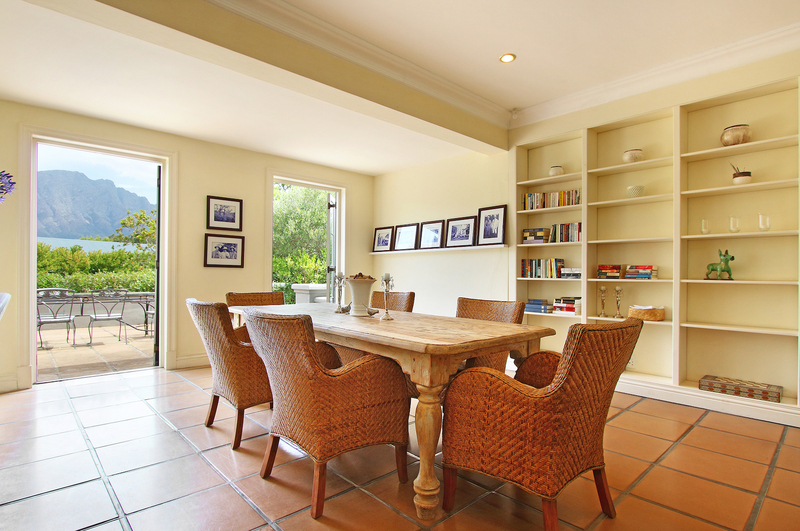 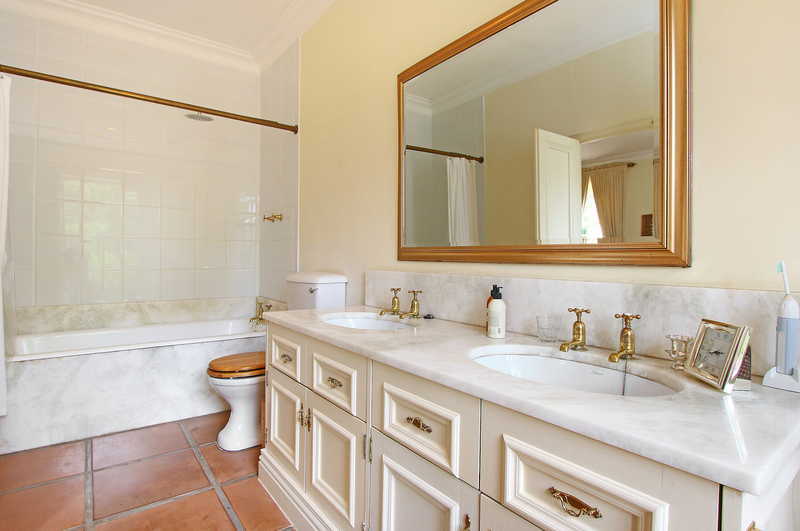 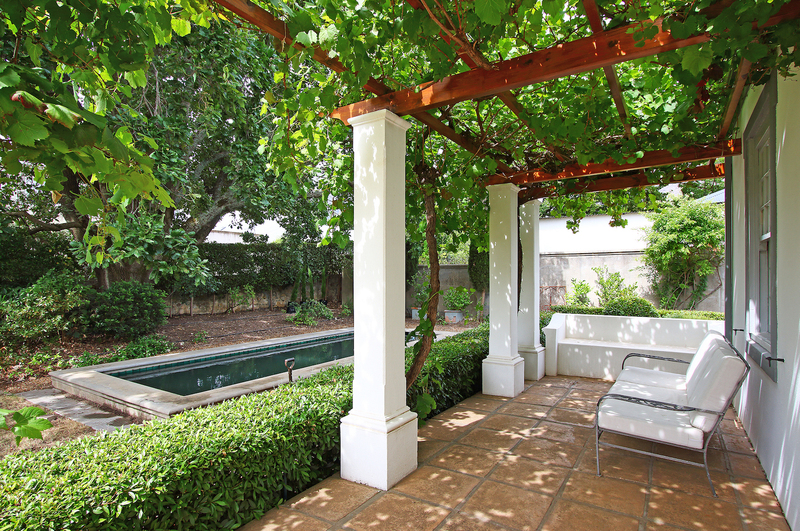 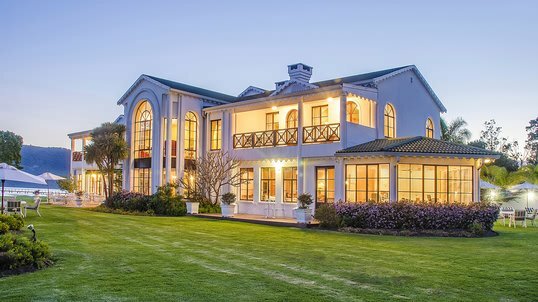 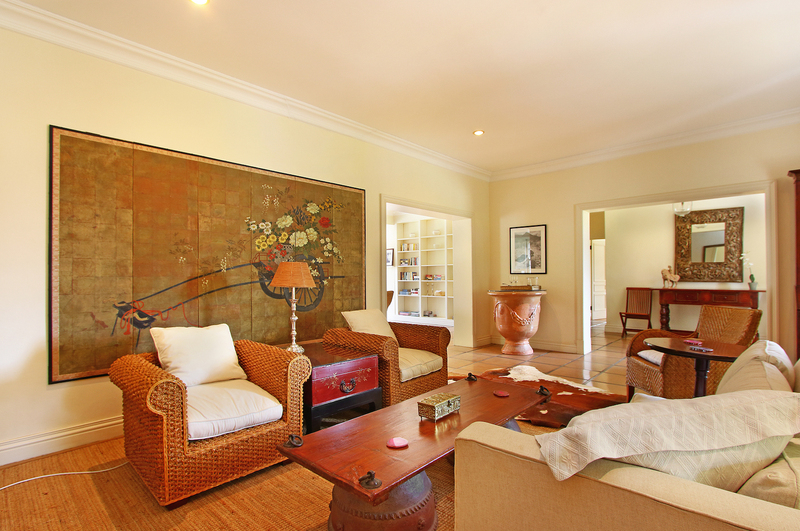 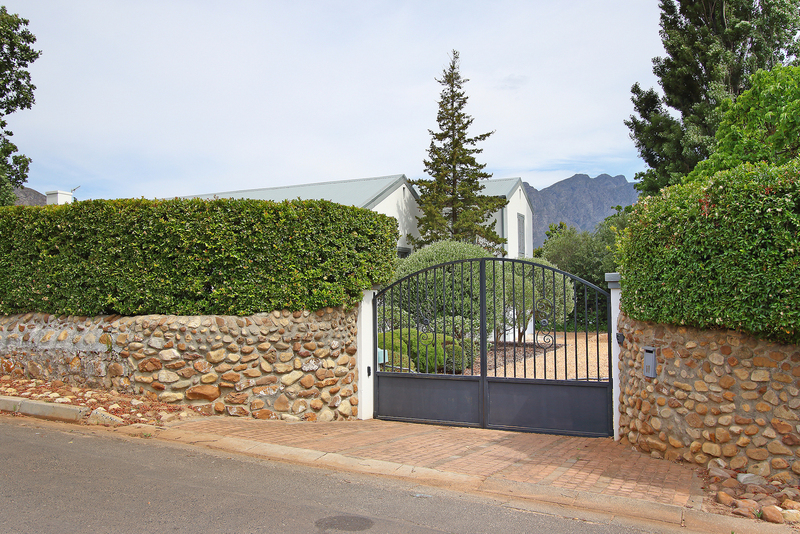 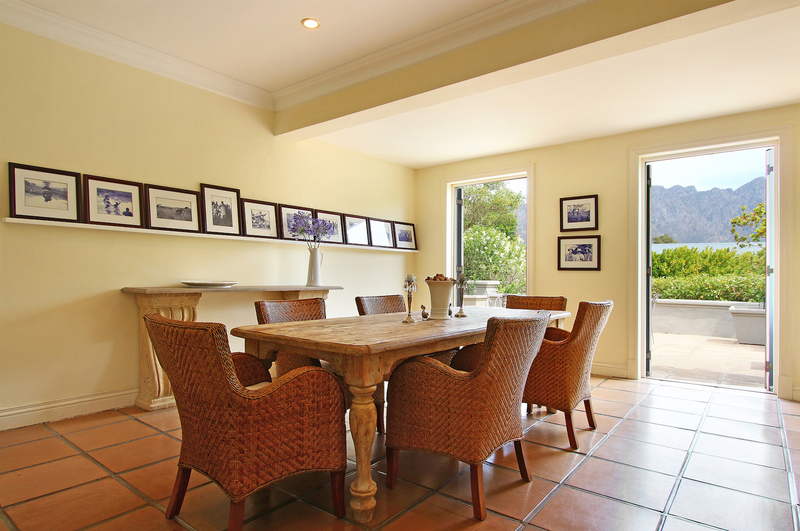 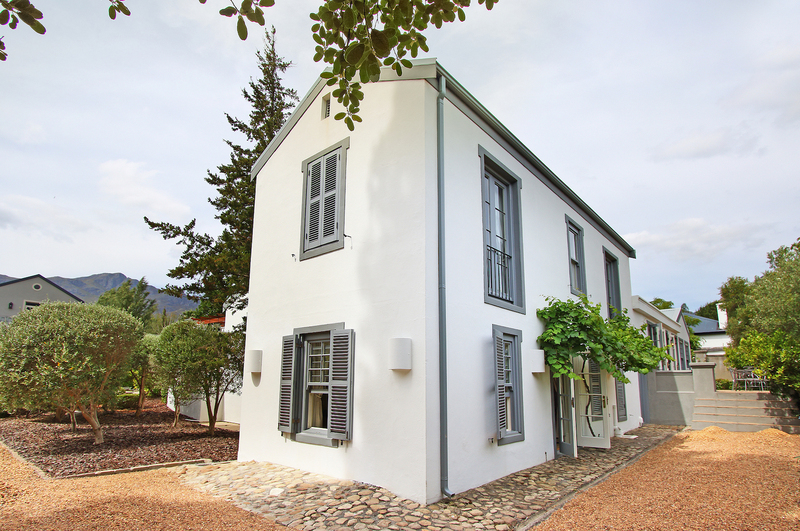 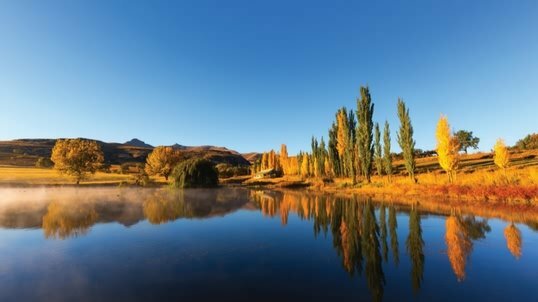 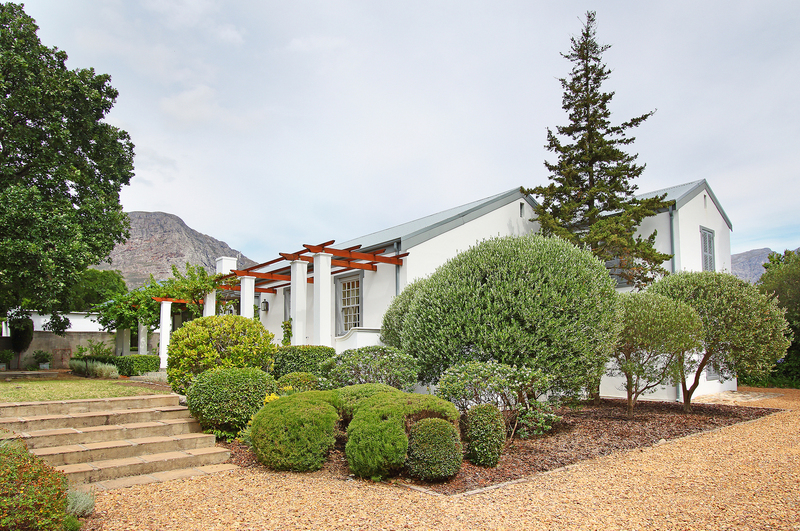 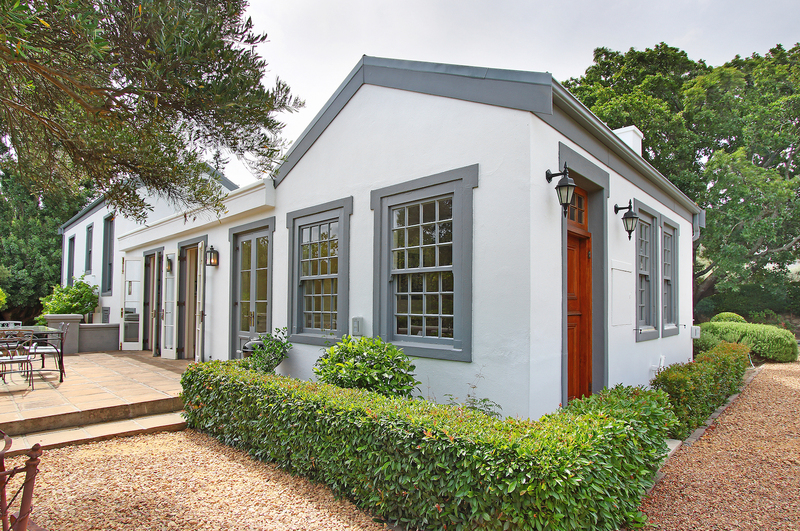 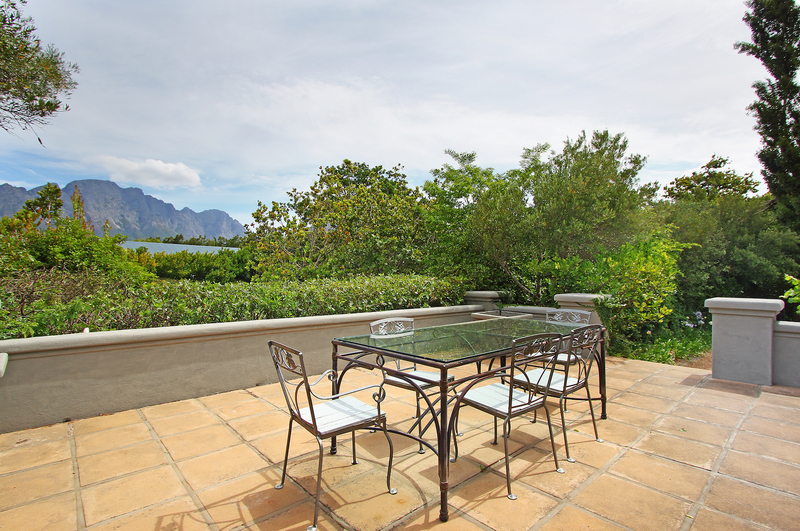 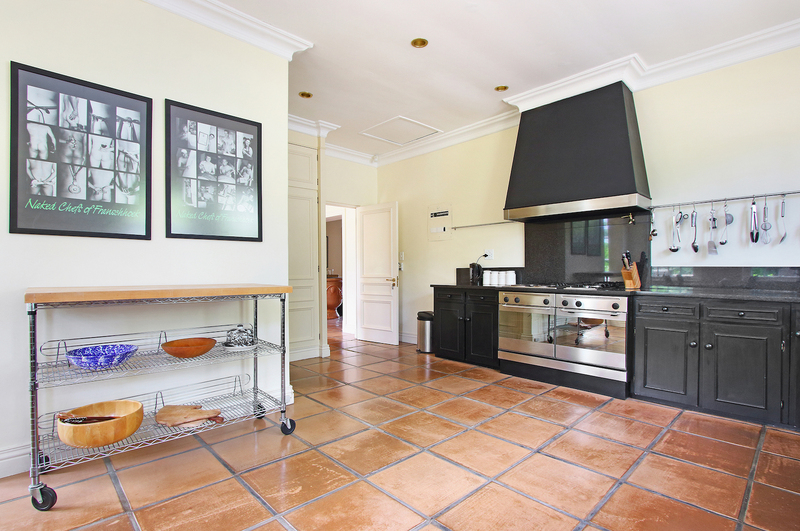 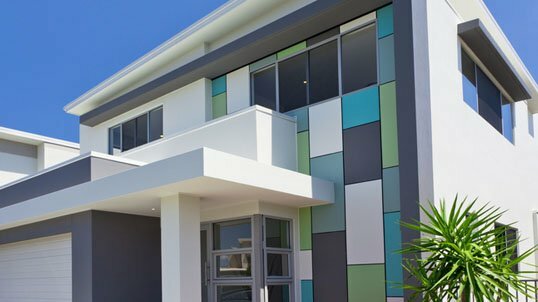 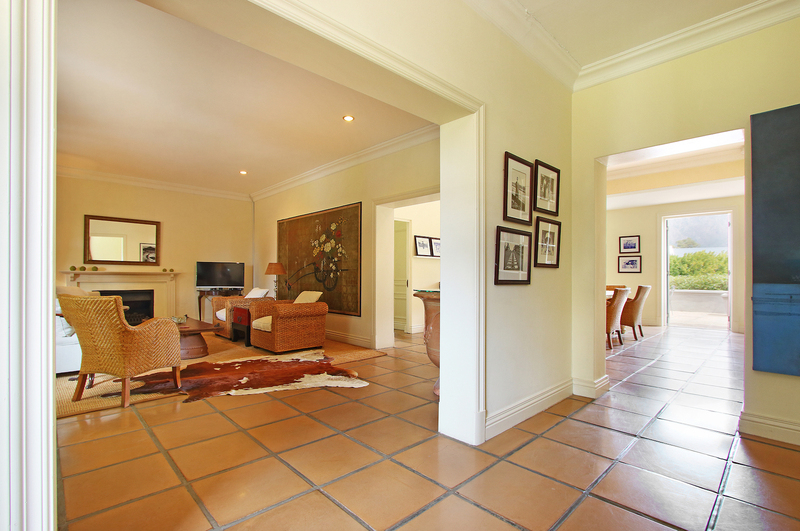 A basement wine cellar, a potential guest toilet and separate laundry/scullery plus lots of off-street parking complete this wonderful property set on over 1,000sqm of prime Franschhoek real estate.